Pembina is a smaller pipeline company. 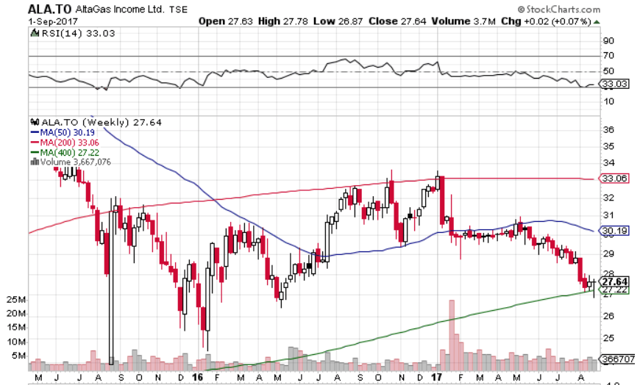 The stock has pulled back such that it sits roughly in the middle of its 52-week low and high. 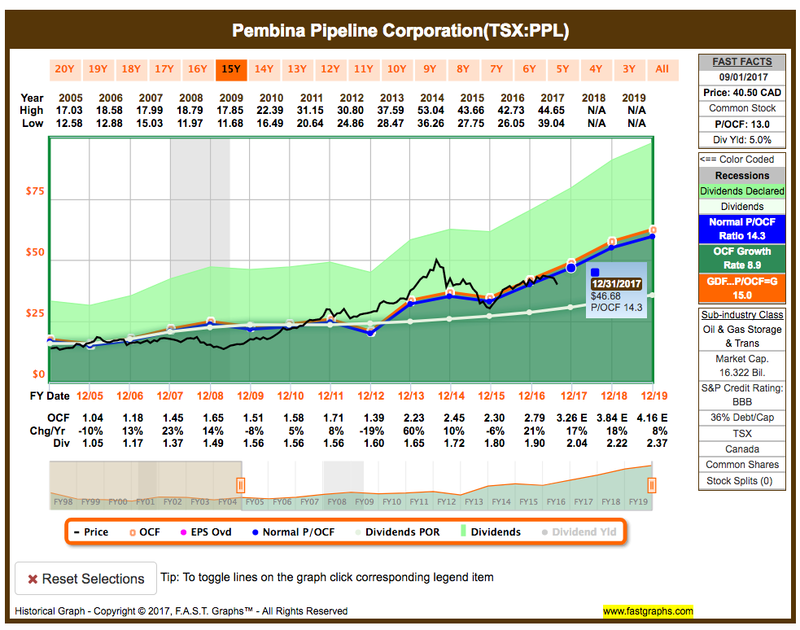 The pending Veresen acquisition should add more growth to Pembina. Since 2012, Pembina has increased its DPS every year. In the last three years, it has increased its DPS by ~5%. It intends to increase its monthly dividend from $0.17 to $0.18 per share (~5.8% growth) once the merger closes. The street consensus at Reuters has a mean 12-month target of C$50.10 on the stock, which represents ~24% upside potential in the near term. As a multi-year investment, Pembina is a compelling investment today. Altagas is an energy infrastructure company that has been especially depressed. It’s making a big acquisition — WGL Holdings (WGL), which is primarily a quality, regulated-gas utility that generates stable cash flows. Altagas has to raise lots of capital for it, and the market doesn’t like the increased uncertainty. Adding that the energy infrastructure industry is generally weak, the stock has been more depressed than the others. 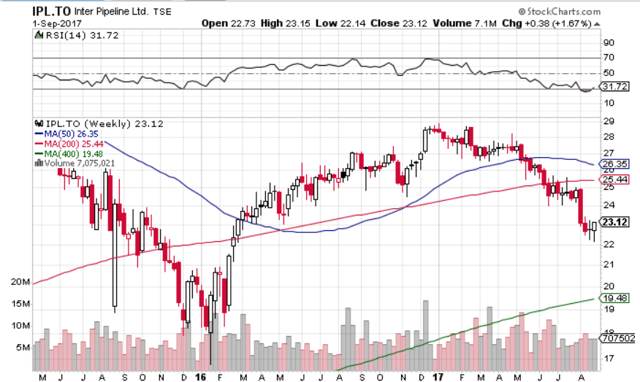 The stock trades near its 52-week low and is so far being supported by its 400-day simple moving average. It currently offers a 7.6% yield! The company has increased its DPS every year since it transformed from an income trust to a corporation in 2010. Management is planning to hike its dividend in Q4, which would add support for the shares. Reuters has a mean 12-month target of C$34.10 on the stock, which represents ~23% upside near-term potential. Keyera stock has held up strongly among the discussed energy infrastructure companies. The stock has essentially gone sideways since late 2014 with strong support at the ~C$35 level. Reuters has a mean 12-month target of C$44.30 on the stock, which represents ~22% upside near-term potential. 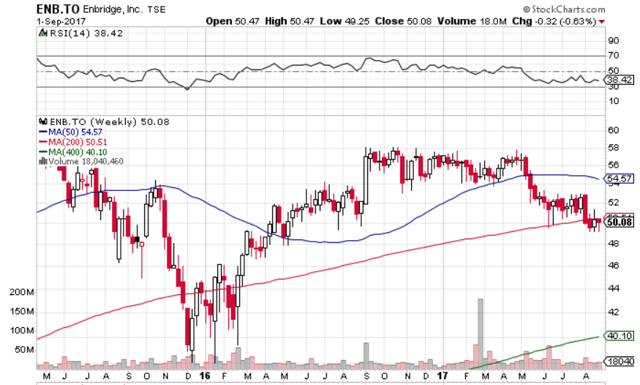 Now is a good time to pick up some Keyera for a trade or an investment for the next few years, or you could see if you can pick up some shares at the ~C$35 level. It yields ~4.6% currently. Keyera has increased its DPS every year since 2011. Its 5-year dividend growth rate is 9.9%. Its monthly dividend is ~5.7% higher than it was a year ago. 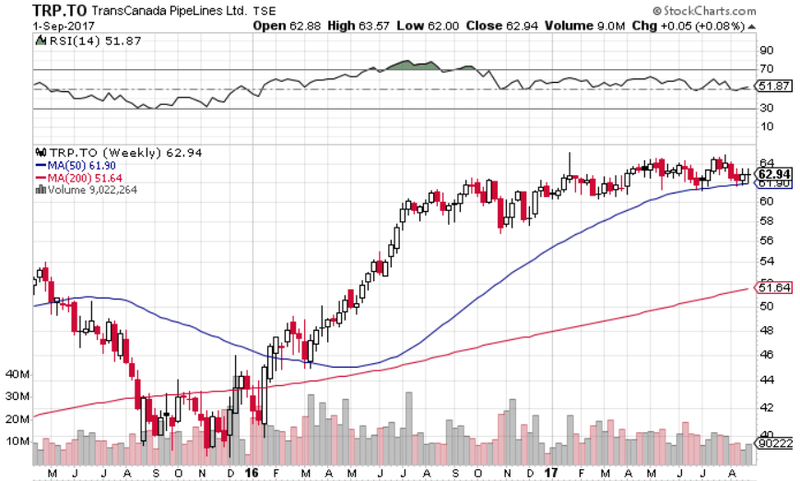 TransCanada stock has held up the best among the discussed energy infrastructure companies. The stock has gone roughly sideways with a nudge to the upside since mid-2016. Reuters has a mean 12-month target of C$72 on the stock, which represents ~14% upside near-term potential. TransCanada has increased its DPS for 16 consecutive years. Its 5-year dividend growth rate is 6.1%. Its quarterly DPS is 10.6% higher than it was a year ago. Management expects to grow its DPS by 8-10% per year through 2020. 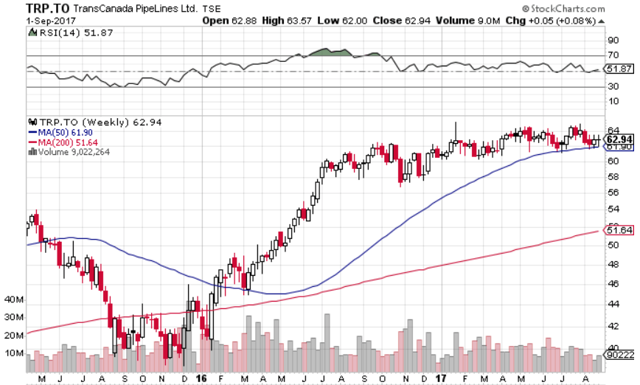 Inter Pipeline stock has pulled back +20% from its 52-week high and has shown some support at the current levels of ~C$23 per share. Now is a good time to buy some shares and if it falls to the ~C$20 level, buy some more to average down. 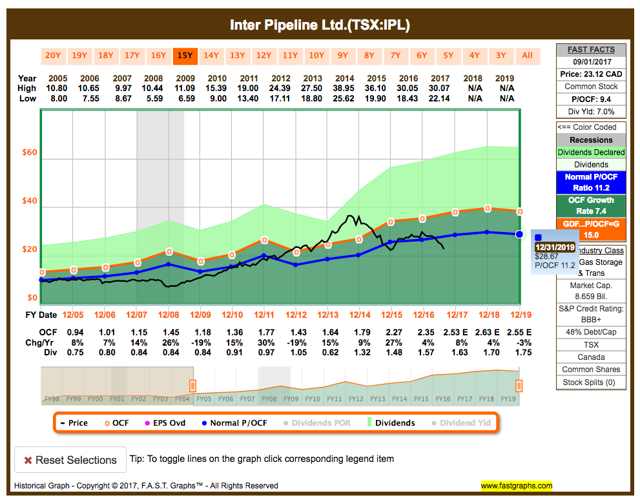 I see Inter Pipeline as an income investment and a potential trade to book profits at a higher valuation when, say, commodity prices recover to higher levels. At ~C$23.10, it offers a yield of 7%. Its monthly DPS is ~3.8% higher than it was a year ago. Reuters has a mean 12-month target of C$29.40 on the stock, which represents ~27% upside near-term potential. If the energy prices improve, Inter Pipeline should be able to trade at the ~C$26-28 level. The energy infrastructure stocks have generally pulled back meaningfully; it is a good time to buy some shares. 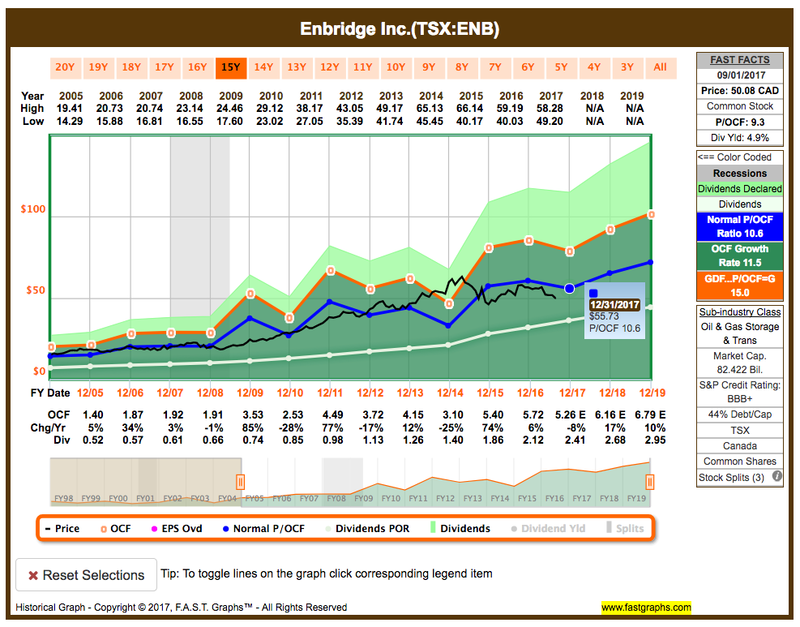 Enbridge and Pembina offers a yield of ~5% with price appreciation potential. 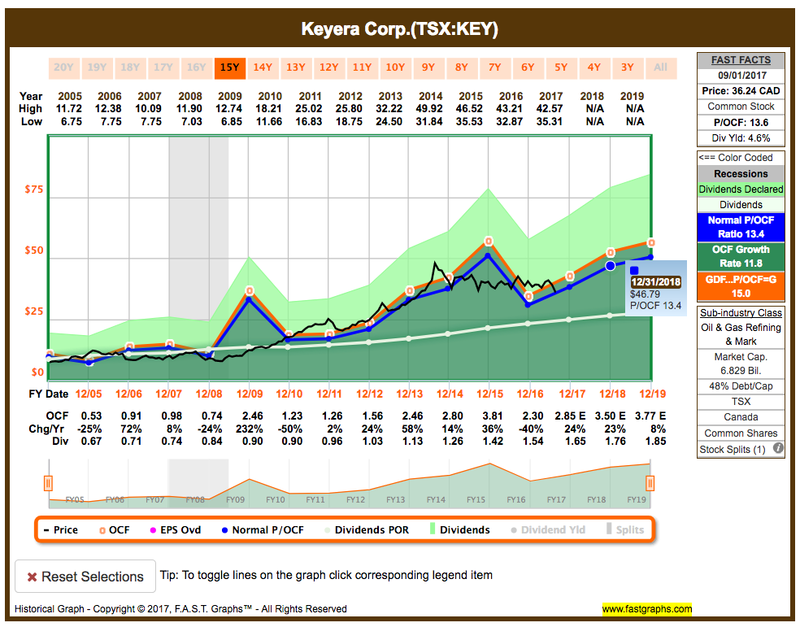 TransCanada and Keyera stocks have been consolidating and could be stabler investments than the others. 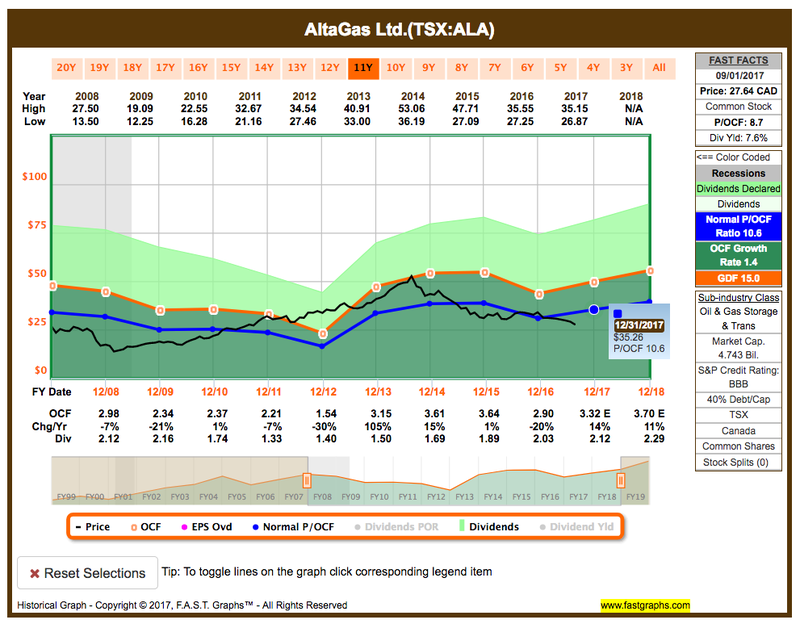 Altagas and Inter Pipeline are high income plays with 7+% yields and have price appreciation potential. Disclosure: At the time of writing, I’m long on the TSX: ENB, PPL, and ALA.
Did You Do Dividend Stocks Christmas Shopping?